Shop Weldfabulous for a complete line of Lincoln Electric welding helmets, Lincoln Electric welders, and more. 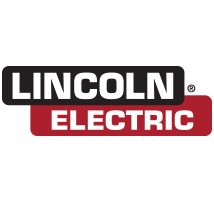 Founded in 1895, Lincoln Electric has grown into a multinational manufacturer of welding products, arc welding equipment, and welding consumables. With a business model frequently studied by the Harvard Business School, Lincoln Electric is an obvious industry leader providing the very best in welding helmets, welding machines, and welding safety gear.